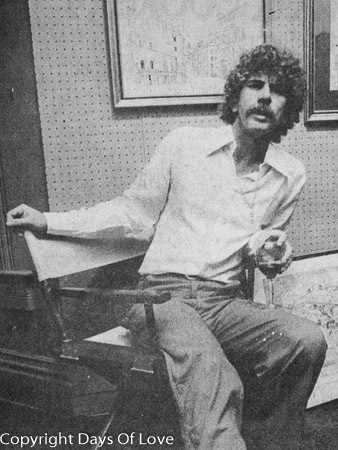 Robert Miles Parker (August 22, 1939 - April 17, 2012) was a free-spirited artist who sparked an architectural preservation movement in San Diego and translated the personalities of Los Angeles and New York into distinctive pen-and-ink drawings of their buildings. Parker published three collections of his drawings, which include "Images of American Architecture" (1981), "L.A." (1984) and "The Upper West Side: New York" (1988). The buildings that inspired him were sometimes famous landmarks, such as Hollywood's Capitol Records Tower and Pasadena's Gamble House. But more often, his sense of whimsy, history and beauty led him to lesser-known subjects, many of which have disappeared. The urge to preserve grabbed him one day in 1969, when he discovered that an abandoned redwood Victorian in his downtown San Diego neighborhood was about to be leveled for a parking lot. He tacked up a sign that read "Save This House" and added his phone number to it. To his surprise, he later recalled, "evidently a whole lot of people felt the way I did." Shortly after he posted the sign, about 50 of them crowded into his home to strategize about the 1887 structure known as the Sherman-Gilbert house, owned by a prominent family that hosted performances by artists such as dancer Anna Pavlova and pianist Arthur Rubinstein. San Diego's Save Our Heritage Organization was born. The city's oldest and largest preservation group, it has rescued many historic buildings, including the Sherman-Gilbert house and several others of similar vintage that have been restored and relocated to a "Victorian preserve" called Heritage Park in San Diego's Old Town. "Robert Miles Parker was preservation in San Diego," said Carol Lindemulder, a founding member and past president of Save Our Heritage Organization. "People flocked around to be with him. He gave a new perspective on an old world." A flamboyant personality who was more of an instigator than an organizer, Parker provoked others, like Lindemulder, to drive the campaign. Parker "was good at inciting people," said Welton Jones, the San Diego Union-Tribune's former critic-at-large. "Ultimately he changed the city in his own way. He definitely was an agent of change." Known to his friends as Miles, Robert Miles Parker Jr. was born in Norfolk, Va., on Aug. 22, 1939. After his father died, his mother married a Navy sailor and moved to San Diego, where Parker grew up. After studying art at the College of William and Mary in Virginia and earning a master's in art education from San Diego State College in 1963, he taught junior high in Carlsbad and adult school in San Diego. In his free time he recorded the "visual glories" of San Diego's Victorian relics. He lived in one of them, which was located around the corner from the Sherman-Gilbert house. Later, as an art therapist in a mental health clinic, he often advised clients to indulge their fantasies. In 1974, he decided to take his own advice and embarked on a cross-country tour, making drawings of buildings that captured his imagination. The results were collected in his first book, "Images of American Architecture." In the 1980s, he shifted his focus to Los Angeles and, finally, to New York, where his renderings of theaters led the New York Times to compare him to Al Hirschfeld, the renowned caricaturist of Broadway stars and Hollywood celebrities. "My way of understanding the city was simply to look at it," Parker wrote in "L.A.," a collection of 195 drawings accompanied by his wry commentary. Sitting in a director's chair with his drawing board on his lap and his Norfolk terrier at his side, he used an old-fashioned dip pen and ink pot to make art amid the distractions of urban life. "Of course, you … swear because the pigeons fly over and the derelicts drool on your drawings. Little children knock your ink over, and your dog chases the little children and the mothers chase you. But all of that is actually an adventure and all of that gets into the drawing," he told The Times in 1984. There are few straight lines in his black-and-white studies. He found what he called "the wonderfulness of man" in a grand edifice like downtown's Biltmore Hotel and the much humbler Casa Garcia, a defunct Montebello eatery shaped like a wrapped tamale. Another building that sprang to life in his hands was the Dog and Cat Hospital, a small, two-story building in Los Angeles with a bas relief of bird dogs hunting ducks and a stucco pediment topped with a neon Dalmatian. It is still standing, minus some of the eccentric touches that had charmed Parker and caused him to lament, "Nowadays you can't tell a dog and cat hospital from a dentist's office." "Los Angeles continually makes me smile," the artist wrote. "Even the freeways are okay. Just don't drive during rush hours. And if you do, it's a grand time for looking at buildings." He died on April 17, 2012. His partner, David Van Leer, said that the cause was unknown, but Parker had numerous health problems since being diagnosed with AIDS 20 years ago.